Dark Shadows holds a special place in our hearts as it was the very first home haunt we we went to, back in 2010. Since then, it has been a regular stop on our list and it has always been excellent, making great use of a small space in both the front yard and the garage. 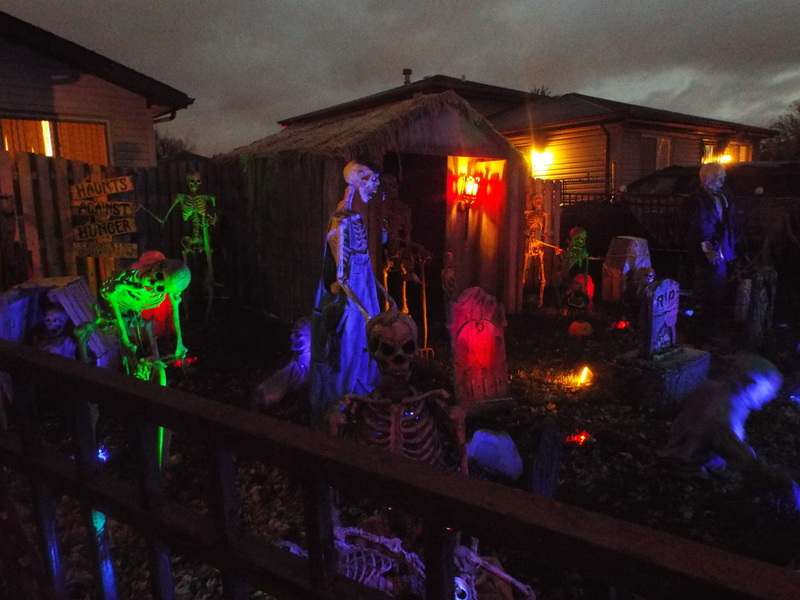 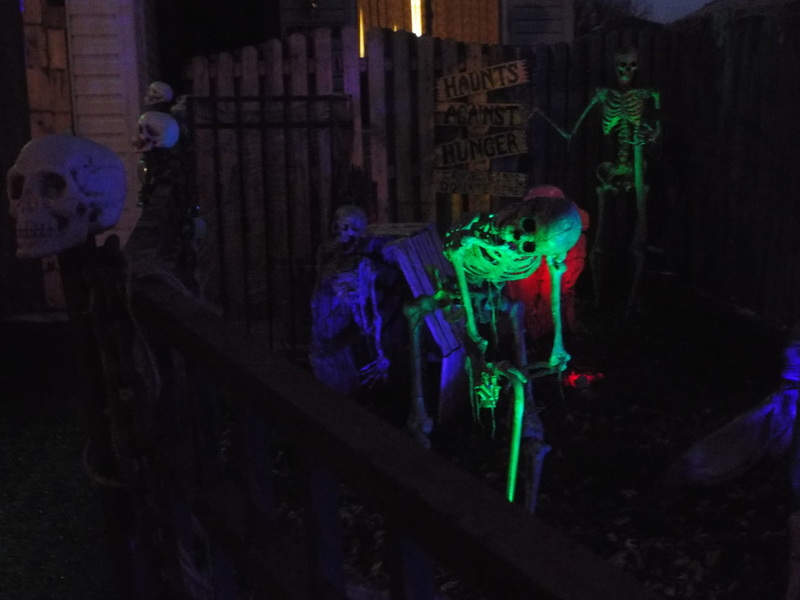 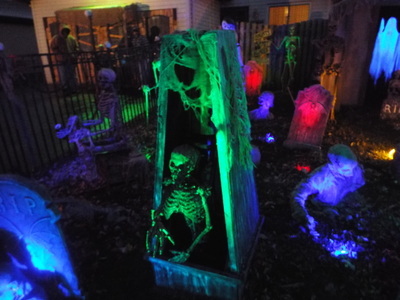 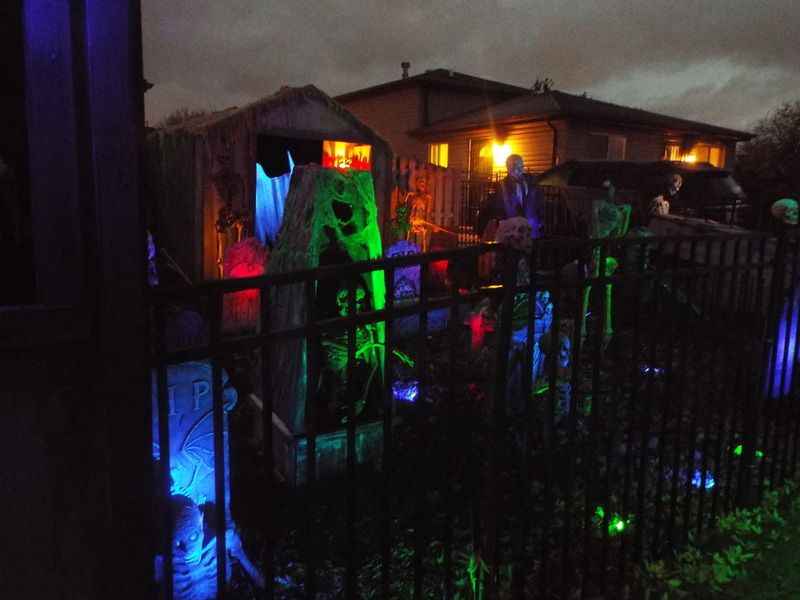 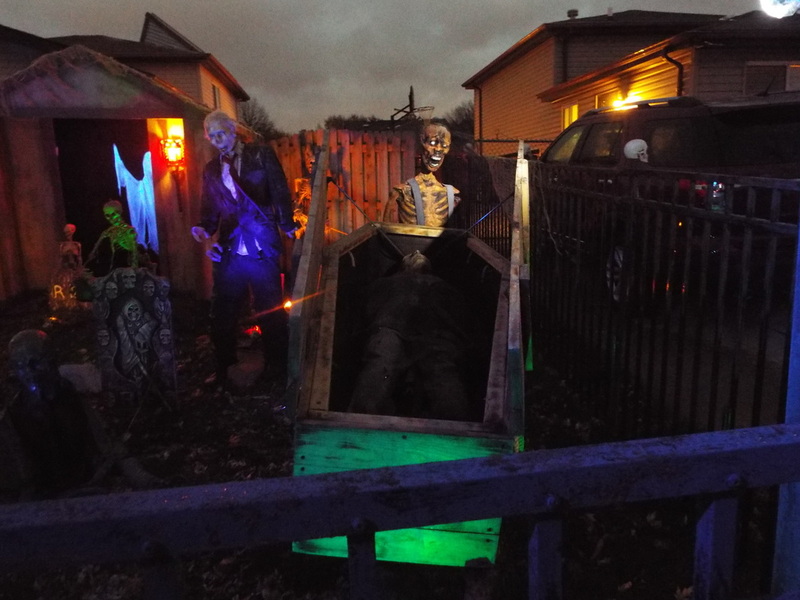 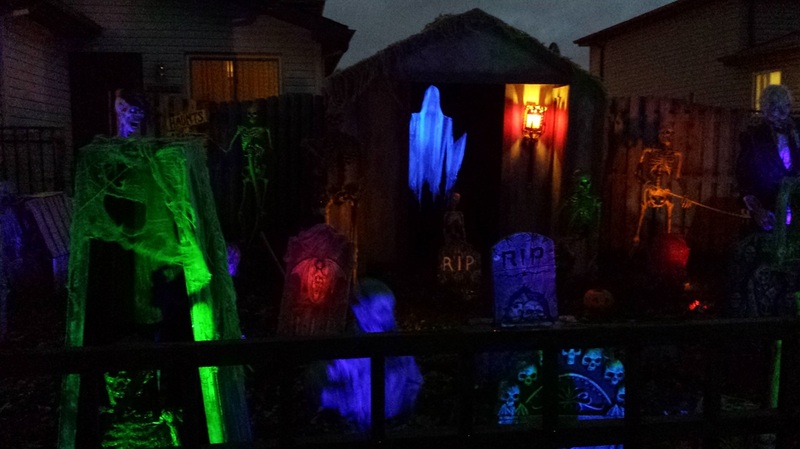 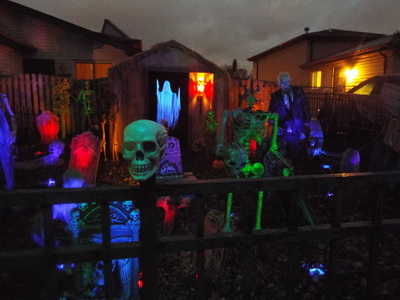 The front yard consists mostly of various skeletons, all of them home made by the haunt owner, and most of them animated in some way. 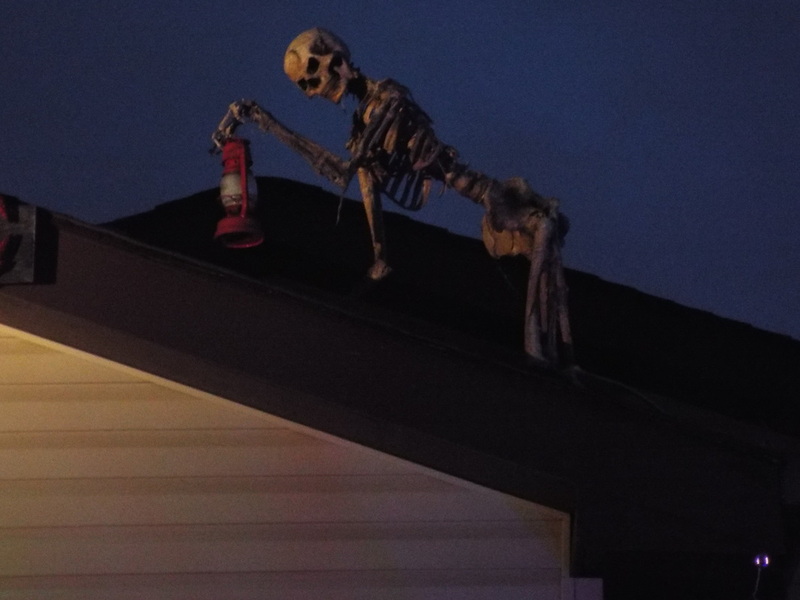 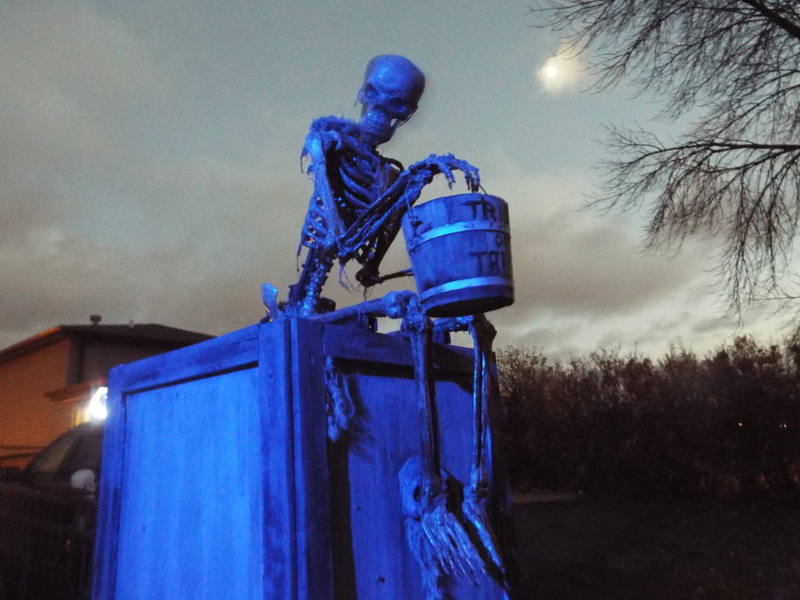 There are skeletons that pop up from out of the ground, skeletons that lunge towards visitors, and even a spitting skeleton hanging from a tree who sprays unsuspecting guests with water. 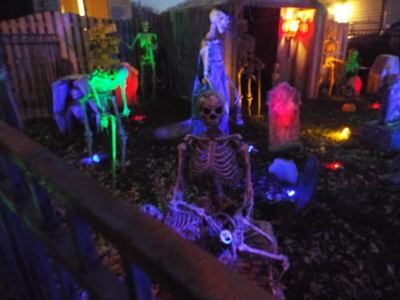 Skeletons are cleverly arranged in the front, and surround a large crypt towards the back that is just lit enough so that visitors can see a bit of what might be going on inside. The entire display is surrounded by a metal fence, complemented by various colored lights, and completed by some excellent thunder and lightning effects that cause the lights to move in time with the "storm." As a yard display, Dark Shadows already ranks up there with some of the better ones, but that's not all Dark Shadows offers. The real fun comes from the home haunt portion, which is located in the garage. Although the garage is small, the haunt seems rather large, and a number of different and varied scenes are found within. 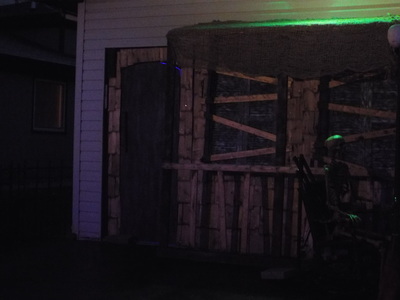 The layout and some of the rooms change every year, but one of our favorite scenes, which features a jungle setting, a wooden bridge, and a large snake, is always there. 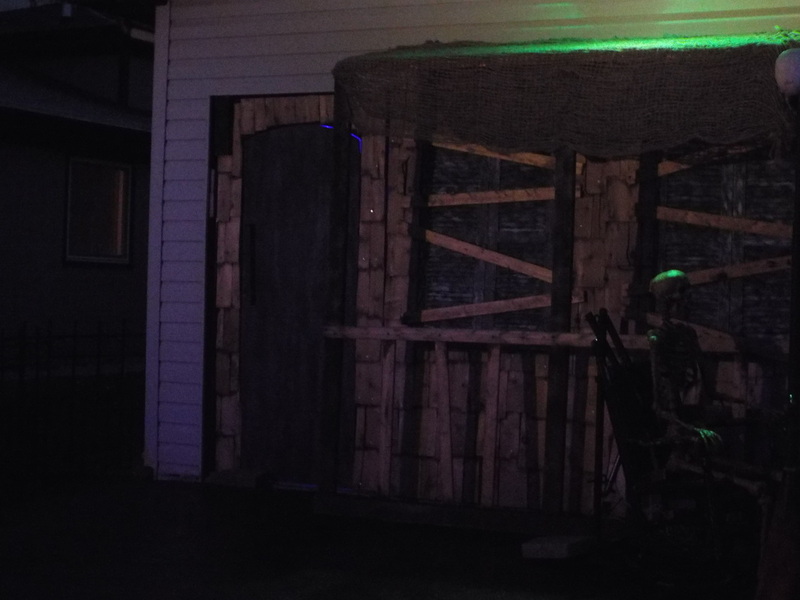 We must say that the operators do a good job of actually making a garage seem like a jungle, at least for a few moments. 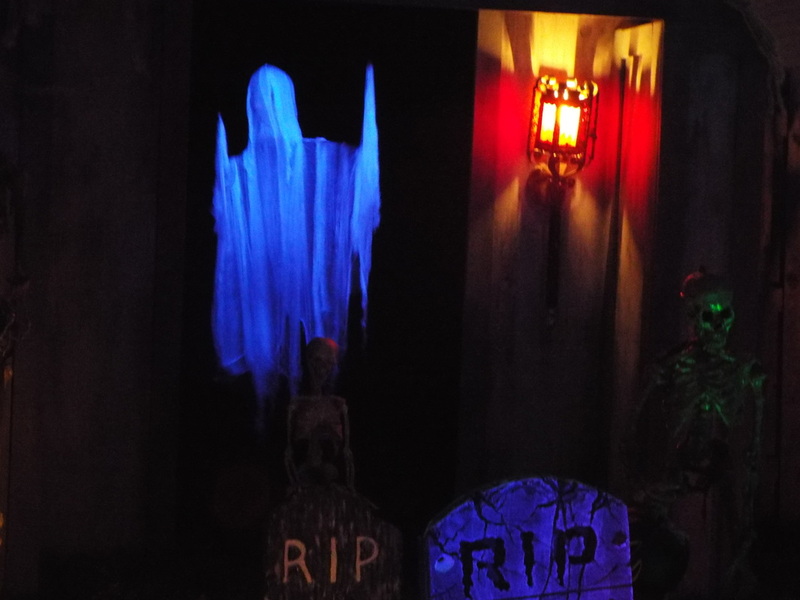 There is even some great misty fog that rolls through the jungle area - good stuff! Additionally, there are a few more rooms with varied themes. 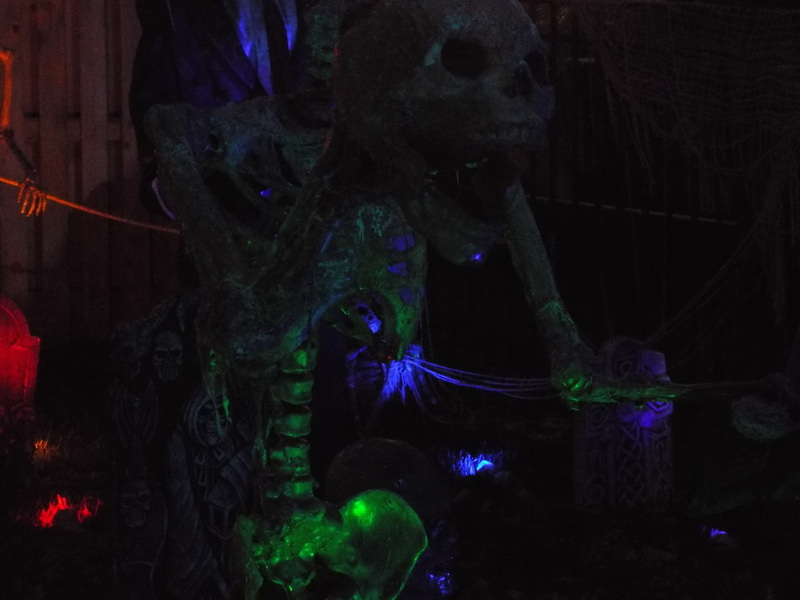 Sometimes they feature well known movie monsters like Michael Myers, and other times the creations are original. 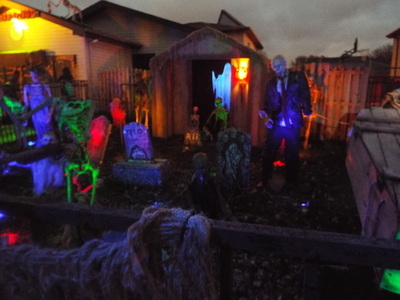 This year featured what looked like a steampunk/gas-masked character running through an industrial setting, as well as a creepy little girl who welcomed you to her room. 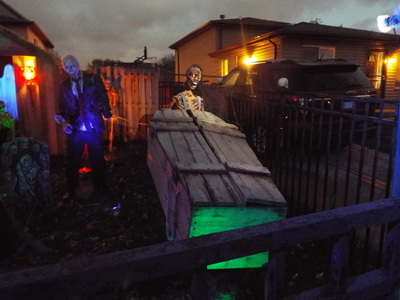 Although the garage haunt is very short (about 2 minutes), it's very well done and makes excellent use of limited space. It's atmospheric, creepy, and keeps you wondering what's coming around the next corner. 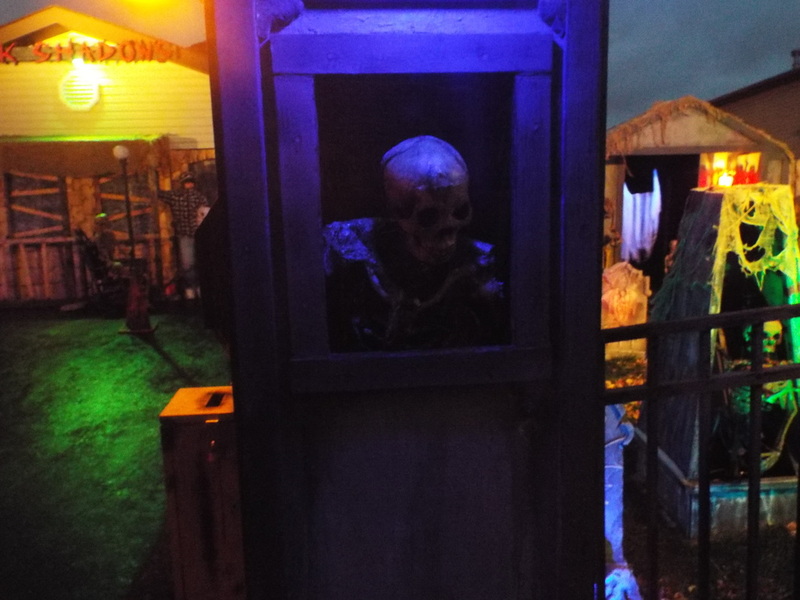 It also seems longer than it actually is, as visitors move slowly through just in case they are surprised by something popping out at them. As is a Dark Shadows tradition, the best scare is usually saved for the very last room, just as visitors spot the large exit door and think they are home free. 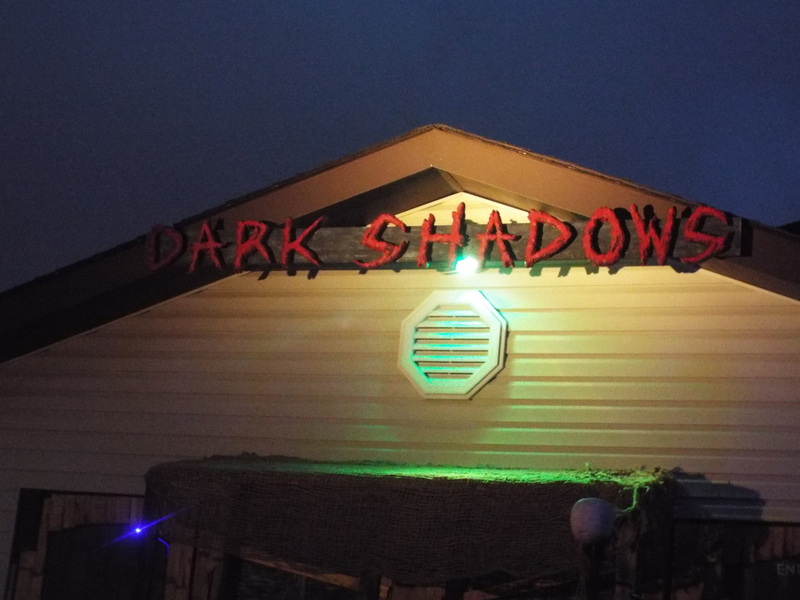 For some great entertainment that costs nothing (unless you wish to make a donation), Dark Shadows is hard to beat. 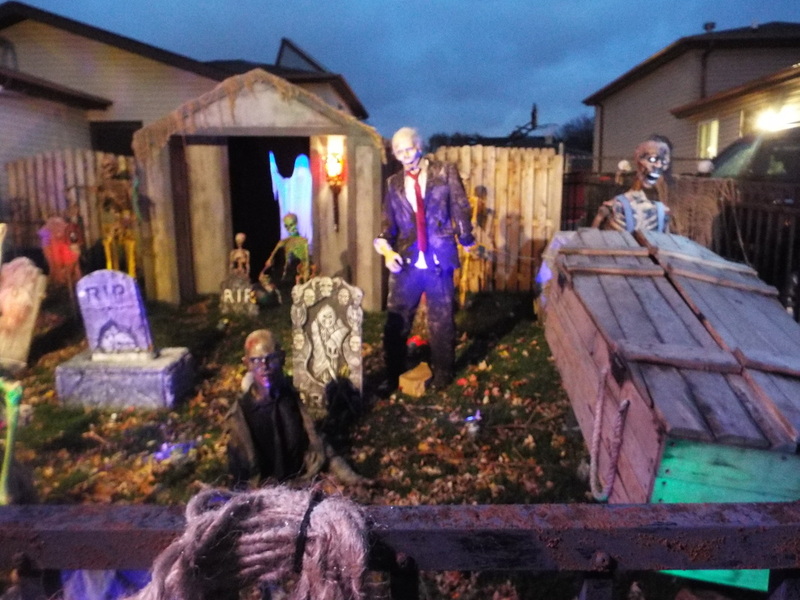 It joins a number of great home haunts in the Orland Park area, and is a must see for anyone who appreciates good, homemade scares and fun.